Just two years after InsightART was founded, it has unveiled its technology to the world. 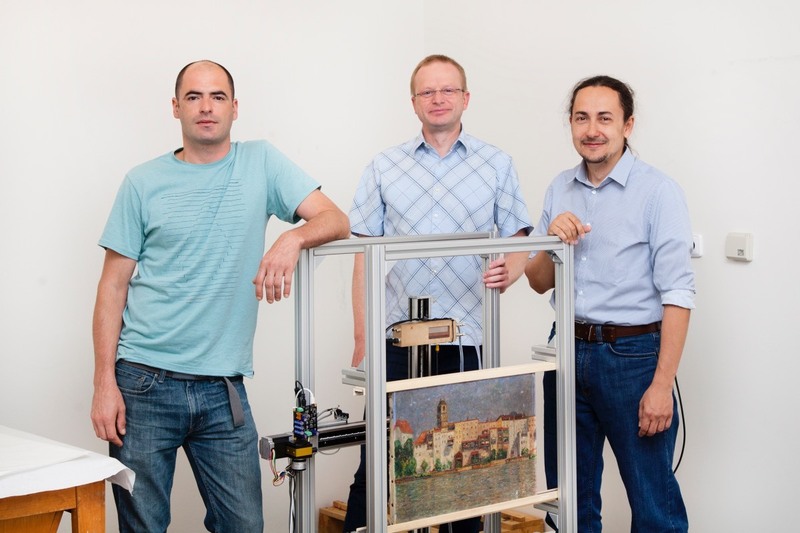 A team of scientists and restorers from InsightART have assembled a special X-ray machine to analyse works of art. Unlike conventional X-rays, InsightARTs scanning machine is equipped with completely new and state-of-the-art technology, WIDEPIX detectors, which allows for unprecedented outputs in artwork analysis. Thus, the scanner can not only produce colour X-rays, but also differentiate the materials in the analysed paintings. 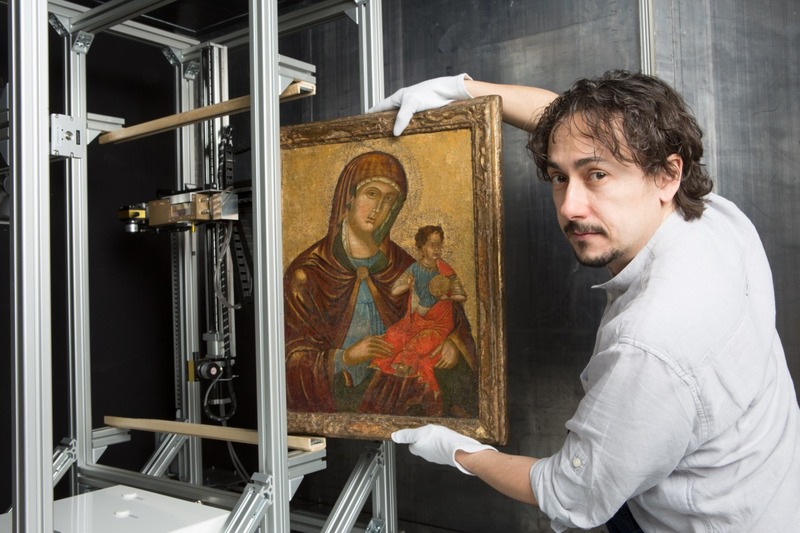 Newly, they also scan with a help of robotic hands, which allows unprecedented flexibility in scanning works of art, expanding the scanned objects to statues and antiques. InsightART uses the best available X-ray imaging cameras that count individual photons of X-rays passing through the studied object. Even more, these cameras also measure the wavelength of photons. This is an unprecedented technique in art studies that allows identification of different types of materials (pigments) in X-ray images. 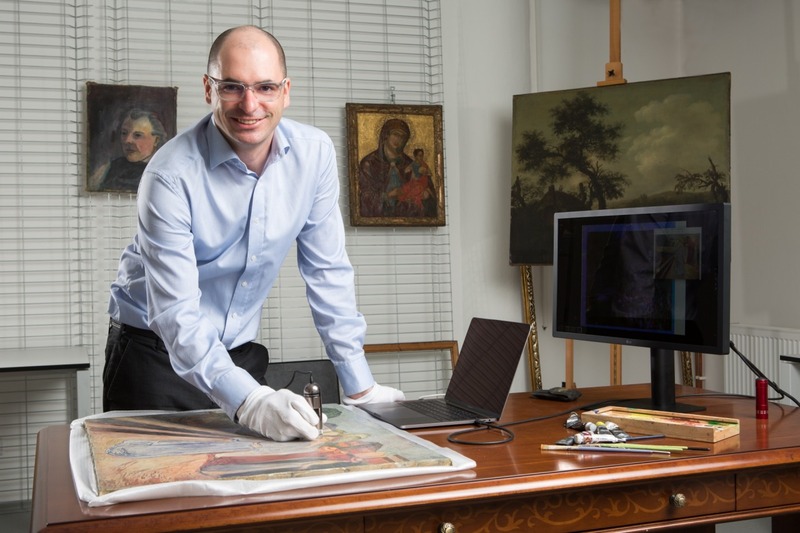 Once on the market, InsightART will be able to offer its customers high-end service of pseudocolour X-ray image of paintings where colours will be associated with different material (pigment) groups identified in a painting. The material map is measured at high spatial resolution, allowing exceptionally detailed resolution and detectability. The material map and superior image quality brings an unprecedented insight into the internal microscopic structure of the art piece at the full scale of the painting. InsightART uses cutting-edge Widepix X-ray imaging detectors with a resolution of 55 ųm or better. These imaging detectors measure wavelengths of X-rays, allowing identification of elemental composition (materials) of the painting. The resulting images are an invaluable tool for excellent mapping of the internal structure and composition of the studied art piece. The latest generation of detectors that InsightART uses comes from space research and is a world-patented technology of its parent company Advacam, a NASA certified supplier. A smaller version of the detector is currently used on the space station to analyse the radiation to which astronauts are exposed. InsightART believes that in the future, thanks to unprecedented sensitivity and superior outputs, their technology will replace the methods used so far to inspect works of art.